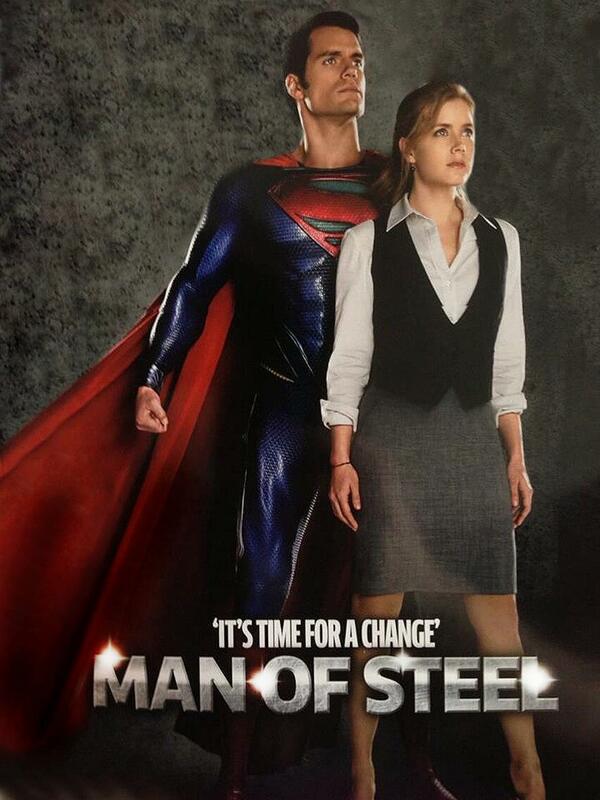 Is it just me or does everyone else thinks that the latest Man of Steel promotional poster just didn't hit the mark? Actors Henry Cavill and Amy Adams join together as Clark Kent aka Superman and Lois Lane as they stare deeply into an unknown view. The latest Man of Steel trailer rocked, but this new material simply belonged to the "lousy" category. I am not expecting much from the movie, knowing that Zack Snyder, the director of the movie, has had his ups and downs in his entire movie-making career, but this is just a little too unacceptable. The very first time I saw this, I almost thought it was fake. What's with the grainy quality of the picture even in its highest possible resolution? But then again disappointment crashes over when some fan sites confirmed that this is indeed authentic. 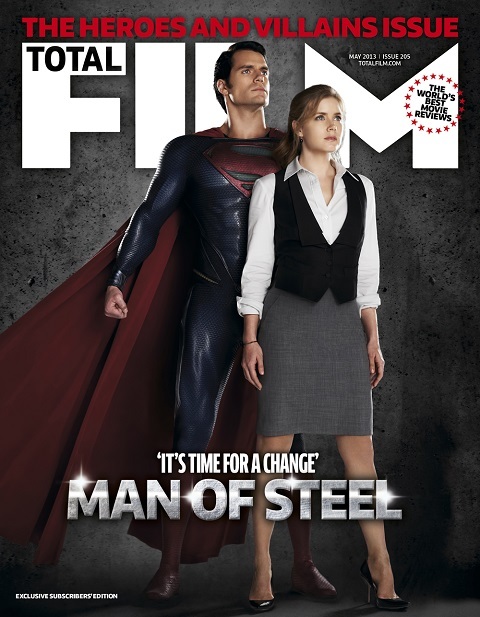 Man of Steel will hit theaters on June 14, 2013. I think it's gorgeous. I love that they are mirroring the same pose. I love that it's a rare photo of a female in a superhero movie where she's facing front, not objectified, not dressed for the men and standing tall. Sure, the pose is cheesy but it's also very Superman. It's very....looking off into the distance in hope. I think you are being too harsh. When you think about the simple appeal of Lois and Clark---Lois as the career woman standing tall next to the Superman---both of them as idealists fighting for justice in a corrupt world...it makes total sense. It's them against the world. Hi Audrey, thanks for stopping by. I think you are quite right in some aspects, but personally (and I don't wanna be a sexist) the psychology (and I am not an expert on this) of the poster denotes that Lois relies on who ever's behind her. She needed someone to watch behind her back. Yes, that may be Superman's role in particular -- to back the weak up -- but this isn't just right. Instead of Lois reflecting her own power, the posture tells that Lois, representing mankind, always relies on something or someone else. I didn't intend to be harsh, but I do accept your opinion. Although I hope we agree on one thing: this movie's gonna be great that's why I am most definitely looking forward for it.